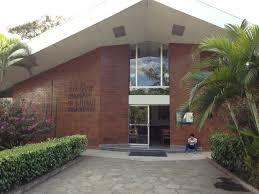 In my first visit to El Salvador in April 1989 I did not know anything about the University of Central America (Universidad de Centro America or UCA) or about its Jesuit professors. That started to change when the other members of my delegation and I visited UCA’s beautiful, peaceful campus, in contrast to the noisy bustle of the rest of San Salvador, and when we had an hour’s calm, reasoned conversation with one of its professors, Fr. 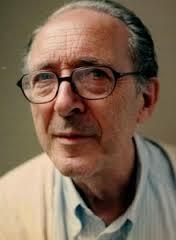 Jon Sobrino, S.J., a noted liberation theologian. I came away impressed with UCA and with Sobrino. 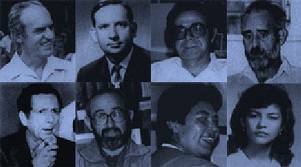 I, therefore, was shocked six months later to hear the news of the November 16, 1989, murder of six of UCA’s Jesuit professors and their housekeeper and daughter. How could such a horrible crime happen to such intelligent, peaceful human beings in that tranquil, academic setting? I was even more appalled when I learned about the selfless, courageous lives of the murdered Jesuits who used their minds, education and spirits to help the poor people of that country and to work for bringing about a negotiated end to its horrible civil war. Their deaths were repetitions of the horrible assassination of Archbishop Oscar Romero on March 24, 1980, who like the Jesuits had used his mind, education and spirit to help the poor people of his country and to condemn violent violations of human rights. The same was true of another Salvadoran Roman Catholic priest, Rutilio Grande, who was murdered in 1977 because of his protests against the regime’s persecution of the poor people, and of the 1980 murders of the four American churchwomen, who worked with the poor in that country. Thus, Romero, Grande, the four American churchwomen and the murdered Jesuits are forever linked in my mind as profound Christian witnesses and martyrs. Their examples have strengthened my Christian faith to love God with all your heart, mind and soul and your neighbor as yourself. All of these experiences have inspired me to learn more about El Salvador, Romero, Grande, the churchwomen and the Jesuits’ Christian witness in the midst of violence and threats to their own lives. 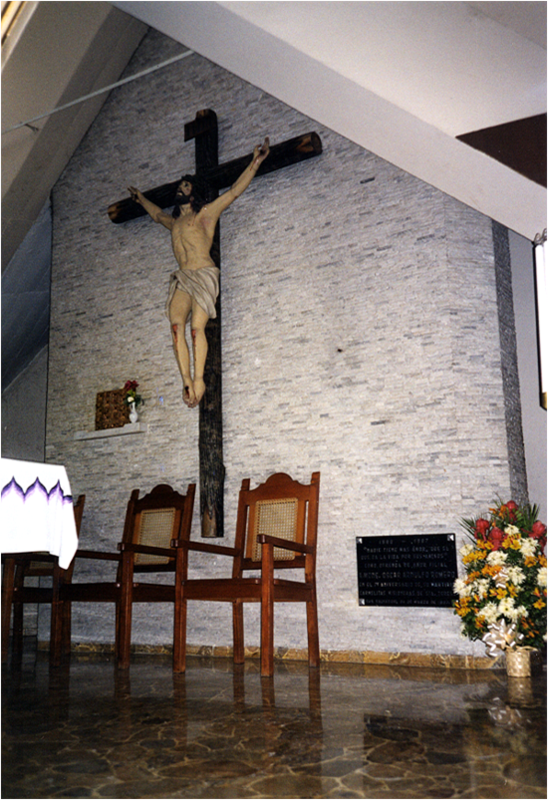 On my subsequent five trips to that country, I always visit UCA for prayer in the Romero Chapel where the Jesuits’ bodies are buried and in the beautiful chapel of a cancer hospital where Romero was assassinated. On my 2000 visit to El Salvador for the 20th anniversary of Oscar Romero’s assassination, my group visited UCA to spend time with its then Rector, Dean Brackley, a Jesuit priest from the U.S. who went to El Salvador to help UCA after the murders of his brother priests. He impressed me as a calm voice of reason and passion in UCA’s ministry of helping the poor and the country. As a result, my cloud of Salvadoran witnesses includes Oscar Romero; Rutilio Grande; the American churchwomen; the Jesuit priests; Fr. Brackley; Fr. Tojeira; Bishop Menardo Gomez of the Salvadoran Lutheran Church, who escaped a death squad on the night the Jesuits were murdered; Salvador Ibarra, who in 1989 was a lawyer for the Salvadoran Lutheran human rights office; and my Salvadoran asylum clients. Outside of El Salvador, of course, I am impressed by another Jesuit, Pope Francis. I have been humbled to learn about the incredible courage and minds of the Jesuits, not just at UCA, but at other Jesuit universities that are generally regarded as the best of Roman Catholic institutions of higher learning. Simultaneously I am puzzled how such a marvelous group of religious men could have emerged from the Jesuits who were the shock-troops of the Counter-Reformation and did so many horrible things during the Spanish Inquisition. All of this also inspired me to become a pro bono lawyer for Salvadorans and later others (an Afghani, a Burmese man, two Somali men and two Colombian families) who were seeking asylum or other legal status that would enable them to remain in the U.S. and escape persecution in their own countries. I always have regarded this as the most important and spiritually rewarding thing I have ever done. As I did so, I often reflected that I was able to do this in the secure and comfortable legal office of a large Minneapolis law firm. 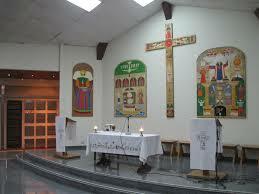 I did not have to risk my life to help others as did my Salvadoran saints. After I had retired from practicing law in 2001, the Jesuits along with Archbishop Oscar Romero continued to inspire me to learn more about international human rights law as I co-taught a course in that subject at the University of Minnesota Law School from 2002 through 2010. In the process, I was amazed to discover the array of inter-related ways the international community had created to seek to enforce international human rights norms in a world still based essentially on the sovereignty of nation states. I then was inspired to use my legal research and writing skills to investigate how these various ways had been used to attempt to bring to justice the perpetrators of the assassination of Archbishop Romero, the rapes and murders of the American churchwomen and the murderers of the Jesuit priests and then to share the results of that research with others on this blog. Many posts have been written about Romero, including the various unsuccessful legal proceedings to identify and punish those responsible for that crime. Other posts have discussed the criminal case still pending in Spain over the murders of the Jesuits and their housekeeper and daughter while another post summarized other legal proceedings that unsuccessfully sought to assign criminal responsibility for the murders of the Jesuit priests other than the brief imprisonment in El Salvador of two military officers. Dean Brackley, S.J., Another Brave Jesuit Priest (Dec. 11, 2014). I give thanks to God for leading me in this path of discovery and inspiration.